Leadership guru Peter Drucker once wrote, “Effective innovations start small.” Some would disagree with that approach. At least one consultant has suggested that if change is necessary in an organization, do it on the grand scale so that all of the pain is experienced at one time and the people can move on! In most churches, Drucker’s advice seems to be more practical. Unless a church is facing imminent meltdown—reduced to an unsustainable core of members, overcome with debt, ready to close its doors—incremental change is the best course to take. Why? For one thing, small changes allow for experiments in the life of the church. These are things that we try because they seem like a good idea to meet an identified need. If they do not succeed, we learn from them and move on. If they succeed, we have a new and effective component of ministry that can be enhanced and expanded. Small changes also allow the church to innovate without “upsetting the apple cart.” Someone once told me that when a church makes changes, the leaders should add and not take away. We should not offer an “either-or” scenario but a “both-and” approach. After a period of time, the older approach may be seen to be less effective, be modified, or die out. For example, if a church wants to add a contemporary service, it should continue the established worship service rather than scrapping it completely. Is this more work? Yes, but this approach recognizes that some may be angry when something they value is snatched away from them. 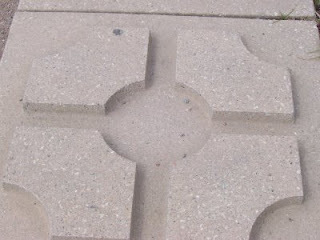 Another helpful aspect of small changes is that they can be made with limited resources. I am not saying that the new efforts are not of good quality, but rather that making small changes does not require the financial investment of major change. They also can be done with minimal reallocation of staff time. If the changes are successful, more resources can be redirected to them. Small, experimental changes communicate to the church members and the community that the church is not afraid of something new and is willing to take calculated risks in an effort to become more effective in its ministry. Change is inevitable but with careful planning, the amount of pain can be reduced! Eileen Campbell-Reed was awarded the Betty Galloway Advocacy for Women in Ministry Award at the General Assembly of the Tennessee Cooperative Baptist Fellowship in Nashville on Saturday. The annual award recognizes a person, church, or organization that excels in encouraging women in ministry roles. In her remarks, Campbell-Reed observed that it would be a great day when such awards were no longer needed because the day had come when both women and men could exercise their gifts for ministry without regard to their gender. Unfortunately such a day is not on the horizon for moderate Baptists in the South. Last summer the Cooperative Baptist Fellowship completed a “discernment process” to shape priorities and strategy for the national organization in the next several years. The cause of women in ministry ranked rather low in that list of priorities. This past Saturday, the Tennessee CBF Transition Team presented their report on the future of the state organization. A portion of the report dealt with what constituents felt were priorities for the future of TCBF. Again the role of women in ministry ranked at the bottom of the list. Of course, no one claims that either of these processes is statistically accurate or objective in their results, but they do indicate something very disheartening. For almost twenty years, Baptist women in the south have looked to the CBF movement as a place where they would at last have the opportunity to “become all that they could be.” It’s not happening. Although the last “State of Women in Baptist Life Report” reports an increase of “ordained Southern Baptist women” from 200 in 1982-83 to 2000 “ordained in Baptist life in the South” by the end of 2007 and states optimistically that “[t]housands of Baptist women in 2008 are serving on church staffs; ministering in hospitals, prisons, and the military; proclaiming the gospel on the mission field; working among the poor and disenfranchised, and regularly preaching from Baptist pulpits,” it is not enough. When gifted young women are graduating from CBF-related theological institutions, serving internships in welcoming churches, and still cannot find pastorates, it is not enough. When not one of the full-time state CBF coordinators is a female, it is not enough. When only one woman holds a position as coordinator on the National CBF staff, it is not enough. When the rank and file of the Cooperative Baptist Fellowship seem to feel that this is no longer a real issue, it is not enough. This is not to denigrate the wonderful and effective service of women who serve as associate pastors, church staff members, chaplains, pastoral counselors, and program leaders and specialists for national and state CBF organizations. They are the hope of the future . . . but when will the future come? Personally, I have been looking for it since 1970 when I was told as a Baptist Student Union director, “There just some things that women can’t do!” It is any wonder that some of our most gifted women are no longer Baptists? Why stay some place where your gifts are not welcomed and utilized? I think that moderate Baptists in the CBF movement have overpromised and underperformed when it comes to improving the place of women in ministry. And that saddens me. If you have been around long enough, you have seen the “life cycle of a church” diagram. My understanding is that Martin F. Saarinen introduced the concept with The Alban Institute. Most of us in Baptist ranks were first exposed to the idea by Bob Dale. George Bullard has amplified on and expanded the idea. The basic concept is that the life of a church (or any organization) can be represented by a bell shaped curve with birth or dream at the bottom on the left side, health or maturity at the apex of the curve, and death or dissolution at the bottom on the right side. Church consultants have used many variations on the idea, especially to help churches that are on the downward slope from maturity to death to adopt an intervention that will kick the church into a new rising growth slope. Although the concept has become an accepted representation of a church’s life cycle, few consultants have been ready to help a church accept that perhaps “death” is the appropriate destination for their congregation. Nowhere in the Bible are we told that a particular local expression of the body of Christ will last forever. We are told that “the Church” (the visible and invisible congregation of believers of all times, the universal church) will certainly survive and conquer (Matthew 16:18). Do any of the churches of the first century still exist? No. 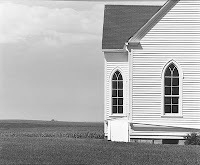 Do churches (local congregations) fulfill their mission and die? Yes. The problem is that some do not realize that they are dead! I have thought for some time that we need a hospice program for churches. In this situation, we would help churches that have declined to “die with dignity.” These are churches whose neighborhoods have changed, whose members no longer live in the area and do not return for services, or who have been crippled by economic situations. A “hospice ministry” would help these churches to accept the situation and close their doors with grace. My home church in Mobile, Alabama, found itself in such a declining situation. Under the leadership of a gifted interim pastor, the church found another congregation with which they could merge, sold the church facilities to an ethnic congregation at a reasonable price, and gave a majority of the receipts to a Baptist college for a scholarship fund. One can find any number of situations where such wise decisions have been made. My friend Chris Gambill of the Center for Congregational Health has come up with an even better idea. He suggests that such churches in decline need to become pregnant. Like Sarah of old, they need to conceive and give birth. This could take a number of forms. The church might use its resources to give birth to a new congregation that would meet in its facilities until maturity. For example, an ethnic, emerging, or “new generation” church start might use the old church’s facilities as an “incubator” with the original congregation continuing to share the facilities. Alternatively, the church might simply close its doors and contribute its plant to be sold to provide resources for new church development. Another approach is for the old church to sell or give its facilities to a stronger congregation that would continue to use the building to provide ministries to the area after the former congregation is gone. The possibilities are unlimited. The challenge is to help declining congregations accept the fact that death is part of life and discern ways to continue to build the Kingdom of God even after the present congregation no longer exists. Will this take a miracle? Yes, but it is the miracle that we preach—new life and resurrection. On Easter Sunday 1967, I worshipped at the Calvary Baptist Church in Bangkok, Thailand. The worship was typically Southern Baptist in design including an evangelistic sermon preached by a pastor named John C. Calhoun (I am not making this up). 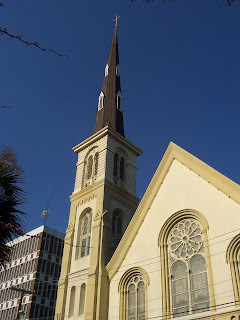 The church was a beautiful colonial structure that would have fit in the downtown area of any county seat in the southeastern United States. It was a great time of worship! I was a First Lieutenant in the U. S. Army on R and R (Rest and Recreation) for a week in Thailand. It was a touch of home. After the morning service, some other servicemen and I were invited to lunch at the home of an Army veterinarian and his wife. They were graduates of Auburn University and we discovered mutual friends. Learning of my interest in Christian missions, the husband invited me to attend a service that afternoon held in a Thai home. Of course, the small, informal service was conducted in the Thai language. Some of the hymn tunes were familiar although the language was not. Other songs seemed more in keeping with the Thai culture. The message, of course, was in Thai. Although I did not understand a thing that was going on, it was a great worship experience. As I now think back to that Easter Sunday over 40 years ago, I realize that I was being exposed to two very different cultural experiences. The worship at Calvary was western, southern evangelical, and attuned to the culture in which I had been nurtured. It was meant to appeal to people like me—expatriates who found themselves in a strange land and hungered for the things of home. The worship in the Thai home was still strongly influenced by western Christianity but was moving toward being more culturally relevant to the Thai people. I have been impressed in recent years how those who find themselves working in a culture different from the one in which they were nurtured have become more sensitive to cultural contextualization—presenting the gospel in terms that the people in their adopted homes can more readily understand. As one friend noted, “I am trying to help my Christian friends learn how they can still be __________ (citizens of a particular Asian country) and be Christ followers at the same time.” This is one of those countries where to be a citizen, you are assumed to be of a particular non-Christian faith. This individual was dealing with contextualization in a serious way. So, are we being sensitive to our culture? If you belong to a predominantly white Baptist church in the South, are you still doing things the way you were in 1967? If so, you are probably out of touch with the culture in which you live. Consider your context. The Digital Revolution has changed the way we communicate, learn, and understand our world. If we fail to understand it, we will miss significant opportunities to be part of the missio Dei (the mission of God). Whether you are digitally literate or not, you will be impacted by this change. One of the people who is not only taking the Digital Revolution seriously but seeking to understand how Christians can minister within that context is Chris Hammons of the Wayne E. Oates Institute. I recommend this article in the latest issue of the Oates Journal. For many in my hometown of Murfreesboro, Tennessee, Good Friday will now have a connotation beyond the day to remember our Lord’s crucifixion. Shortly before one o’clock today, the first of two tornadoes of the day ripped through the northern part of our city. A mother and her nine week old child were killed, at least 30 people were injured, and numerous people lost their homes. A second storm reportedly moved through the southern part of the county a short time later. Our family was fortunate. The storm moved north of us and just south of where our daughters live. It was closer to their homes than ours. All in all it was a frightening experience. It was a reminder of the transitory nature of our lives. Lord Jesus, help us to overcome the world. No one ever said that change was easy. General Motors provides an appropriate case study. In 1985, GM CEO Rogers Smith announced the Saturn initiative: “A Different Kind of Company. A Different Kind of Car.” The goal was to remake the way that Americans made automobiles in order to be more competitive with the Japanese. I was personally co-opted by this effort. I bought a Saturn in the early 90’s. It was new, it was relatively inexpensive, and it was made in Tennessee. In fact, after that one car was long gone, we bought a used Saturn for my wife to drive. Despite some glitches, we liked the car and the dealer service was excellent. We even knew people who worked at the plant. In the current issue of Newsweek, journalist Paul Ingrassia explains why Saturn failed. He explains the difficulties of true innovation, dealing with entrenched interests (such as the UAW), and envy (from within the company). For the theologians among us, the story has all the classic ingredients—greed, pride, sin, betrayal, hubris. It is not a pretty story. His article helps us to understand why American automakers (GM, Ford, and Chrysler) are in BIG trouble. Churches and judicatories can learn from the Saturn experience. Whenever one tries to do something truly innovative, resistance is inevitable. Even if top leadership buys in initially, life is short and “the Pharaoh who knew not Joseph” comes on the scene all too soon and the idea has to be sold all over again to one who was not there at the beginning. There are also those entrenched interests who are quick to say, “We just don’t do it that way here.” In addition, there are those who stand on the sidelines—the general public, church members, casual participants—and anticipate failure. Nothing draws attention like an accident! I am not telling you anything you don’t already know, but perhaps we can take some small comfort from the fact that even the giants of industry can stumble when it comes to change. Change is not for the faint of heart. Being a true change agent is a gift from God. For some time I have struggled with my aversion to the term “strategic planning” and the idea of a “strategic planning process.” Part of my discomfort has come from being exposed by Alan Roxburgh to the idea of “discontinuous change.” I don’t think that I do any harm to Roxburgh’s presentation to summarize it as “everything tied down is coming loose.” Where we once thought linearly, assuming that the future would be like the past and planned accordingly, reality has shown us that this is not the way things are. The unexpected happens (Internet, 9/11, Iraqi war, financial chaos) and all of our great plans go out the window. Sam Walls takes this metaphor further . . . [when] he argues that Christian living is like improvisational acting rather than script-based acting. Players practice intensely in order to be able to react to the unexpected on stage. No two acts of improvisation are ever alike, just as no two acts of Christian faithfulness are. Preparation allows for improvisation, and so for faithfulness. Wells’ observation encourages us to be prepared by knowing who we are and understanding our relationship to God. The unexpected will certainly happen! God calls us to faithfulness in such times of uncertainty. 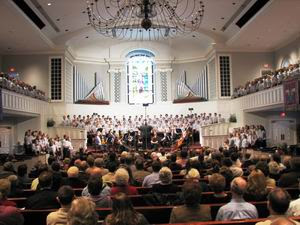 Baptists in the South, along with mainline churches such as Methodists, Presbyterians, and some others, once prided themselves on their lay religious education programs. They emphasized that the “church school” was not just for children and youth but for adults as well. 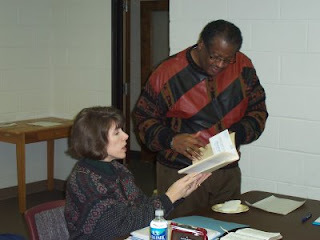 Baptists offered opportunities for laity to take “study courses” based on books that covered everything from Bible survey to Sunday school growth methodology. How are we equipping lay people for church leadership today? In reality, most of our churches are not. I am not calling for a return to the “Church Study Course,” but I do think this is a neglected area in many of our churches. We do a good job of Bible teaching but little to equip lay leaders. As we think about this challenge, let me share a few observations about the adults we have the opportunity to equip for ministry. Some of these are based on my experience in leading a couple of lay learning experiences in our church. They are not meant to be perceived as positives or negatives but as factors to consider in the intentional formation of lay leaders. First, they are very educated people. More of them have some college and many have been involved in management and leadership training in their companies and communities. Many are avid readers. They know good training when they see it. Second, they are digitally connected. Although they may not be in love with technology, they are exposed to it on a regular basis and many are adept at using it. This skill is not limited to young adults; this is true of many adults of all ages. Third, they are busy people. There are many demands on their time—work, community service, family, and the logistics of “doing life”—shopping, housework, home repair, paying bills, etc. Carving out time for something else is not easy. Fourth, they come from various denominations. Many people who have become lay leaders in your church probably did not grow up in your faith tradition. In leadership classes I have done in our church, I have found a number who grew up in other faith groups including Roman Catholics. Again, this is not a bad thing and may even be a blessing! Fifth, their family situations vary. Some are part of the traditional “Mom and Dad, three kids, and a dog” kind of family, but others are in a second marriage, have blended families, are single parents, have never been married, or are single adults caring for aging parents. Sixth, they are open to new relationships. One of the most significant by-products of a leadership training experience can be bringing people from different generations and walks of life together. In churches of any size—large or small--I have found it quite common that people don’t know each other. They know their Sunday school classmates or those they work with on various projects, but their sphere of involvement is limited. Seventh, they are seeking spiritual insight for their lives. Many adults hunger for a place where they can share their deepest needs without judgment and find spiritual guidance. This may sound like a simple thing, but most adults have to search to find this type of community. 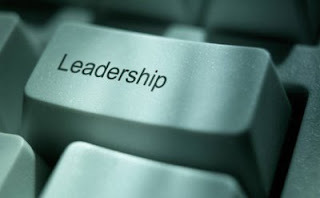 Equipping adults as leaders for the 21st century church is one of the most significant opportunities open to us today. The task will require our best thinking and ample resources of people, time, and money.